Is 4D a good idea? When I was about twelve or so, I saw a 4D IMAX movie at a museum. All I remember about that experience is how freaked out I got when rats ran across the screen and the audience received a simulated event. Basically, I did not enjoy the feeling of rats running over my feet. However, putting that aside, it already feels like 3D is unnecessary for many films, so much like Ben I strongly hope that the use of 4D is kept out of mainstream cinema. My local Cineworld cinema has a gimmick called D-Box. I call it a gimmick because it adds very little to the movie viewing experience other than a more expensive ticket. Your chair vibrates in time with the action. That is it! Many people enjoy it but I think I’d find it very tiring and nothing more than a very novel idea. 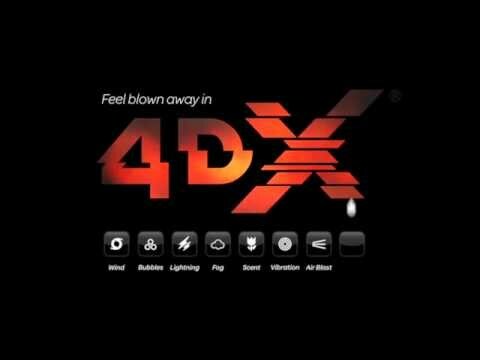 Cineworld are taking their D-Box idea one step further though and adding 4DX. The advert boasts an immersive cinema experience that includes the usual 3D and chair motion but also adds a wind machine, a smoke machine (fog), spraying water, lightening, bubbles (?) and even scent. As the characters smell poo, you too can smell poo! Some people smiling as their fogged!